There is no doubt that our waste stream is on the rise. But if we use eco-friendly methods to remove waste, the damage caused to the environment can be significantly reduced. The first step is to focus on waste separation. Often recyclable products are mixed with non-recyclable ones which makes it difficult to recycle. Always make sure that you separate the non-recyclable waste from the recyclable one. In case the waste collection facility doesn’t have a provision to recycle the waste, look around for options where you can give away the waste for recycling. Reusing the waste focuses on minimising the waste that is generated. If waste generation is kept to a minimum, the process of waste removal becomes easier. You can easily reuse certain items. It may be empty ice-cream containers or plastic soda bottles or plastic bags etc. When you think of throwing away things, first consider if they can be reused. The waste generated in the kitchen in the form of vegetable peels or clippings from the yard can be put to use by allowing them to decompose in a compost pile. Compost piles are easy to build if you have a bit of yard space, but there are lots of methods of composting that use little to no space, like worm composting, bokashi buckets, and in kitchen composting systems. which leads to the formation of compost. This can help provide nutrients to the soil hence providing nourishment. It will render the soil fertile. The grass clippings can actually be spread over the grass to provide nourishment to the soil. They can even be used to make compost or animal feed. Many rubbish removers provide separate services for green waste removal. If you have a yard, make sure to manage yard waste properly. Ask the rubbish removers about their waste removal services and what all they accept. After some of the waste has been reused or recycled, the remaining waste can be employed to generate energy. The perfect example of a country converting garbage into clean energy is Sweden. They use 100% of their waste and in fact, need to import waste from other countries. The best way to get rid of hazardous waste is to drop it at the hazardous waste disposal sites. This kind of waste should never be thrown away with the general waste. Some examples of hazardous household waste paint cans, bulbs, thermometers, tires etc. In case they are mixed with the normal waste and put into a landfill, they can heavily pollute water, soil, and air which can pose threat to life and environment. While there are many methods of waste removal, it is a good practice to follow methods that are environmentally friendly and cause less damage to nature. 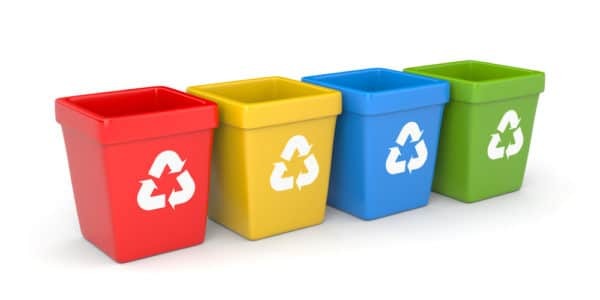 The various techniques listed above will help in devising an eco-friendly waste removal process. All good things begin at home. So we are saying why don’t you become a part of eco-friendly waste disposal. It is one of the best ways to go green and save the planet.